I wanted to share this article on MCADCafé about our how we worked with CDS (Catalog Data Solutions, Inc.) to develop our new online CAD and Configurator side, DTools. DTools is available to the public and FREE to use. 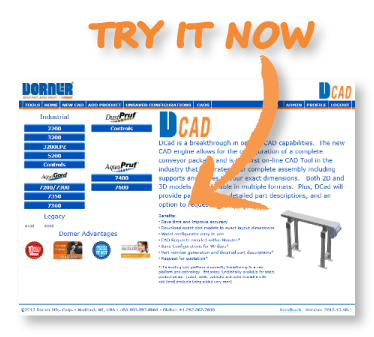 All you have to do is register at tools.dorner.com and you will be able to configure your own conveyor models.